We gotta admit that cats are the rulers of the Internet, they are part of the most sharable content on the Internet. It is mainly due to their funny and equally irritating behaviour. You may love cats or you may hate them but you simply can’t ignore them. We just can’t seem to get enough of the sweet little creatures. 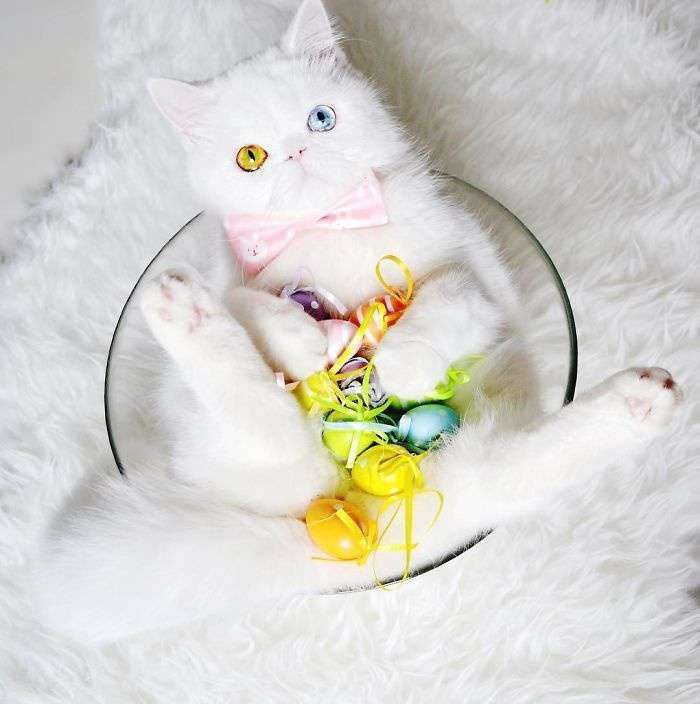 No doubt, cats are one of the cutest animals in the world but wait till you see a kitten with heterochromia? Before you ask us about Heterochromia, let us tell you that it is a condition in which the colours of the two eyes is different from each other. 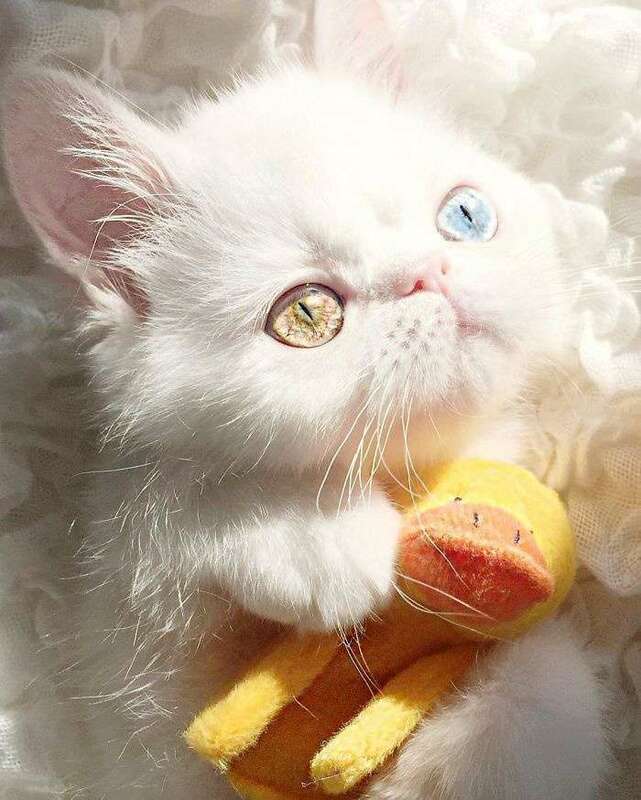 Lately, the Internet has found its new sensation and this time she’s a kitten with heterochromia. The cat’s name is Pam Pam and it has one green eye and one blue eye. 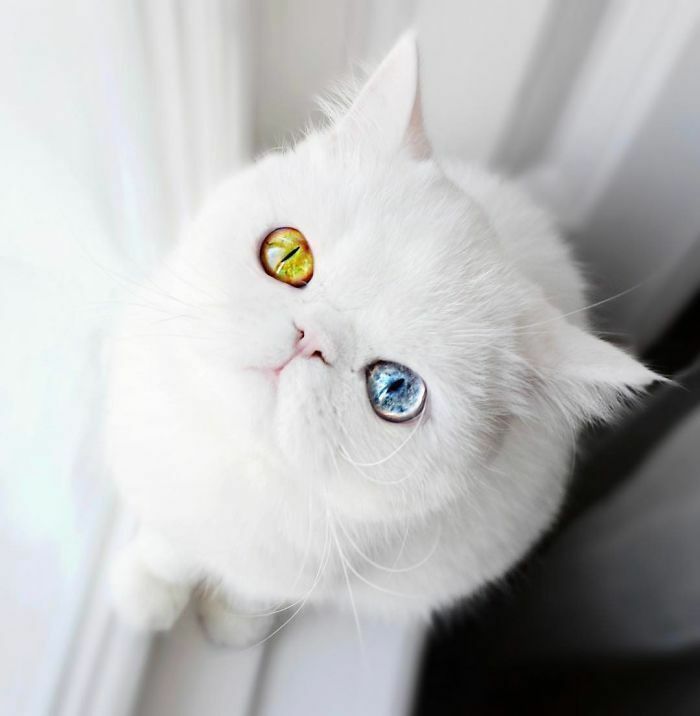 The cat’s eyes look magical as the coloration makes it look fascinating. The cat looks nothing short of a magical creature from a fantasy land. Have a look at some of Pam Pam’s spell bounding pictures. 1. 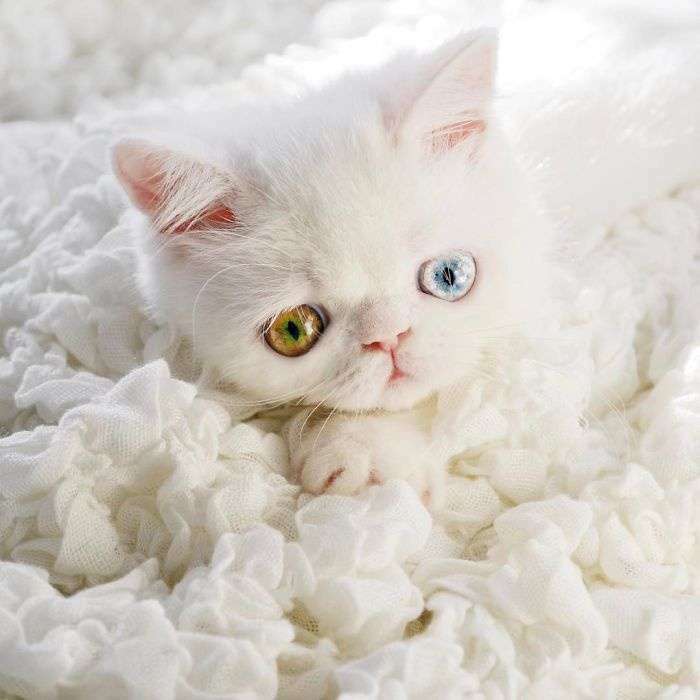 Meet Pam Pam, a Kitten With Heterochromia and she is the new love of the Internet. 2. Doesn’t she the cutest cat you have seen in a while? 3. Just look at her magical eyes and we bet that you won’t be able to take your eyes off her. 4. Pam Pam has more than 70K followers on Instagram(more than 95% of people in the world). 5. Although this different coloured eye condition is due to certain abnormalities in the Iris but it has proved a bliss for this cat. 6. 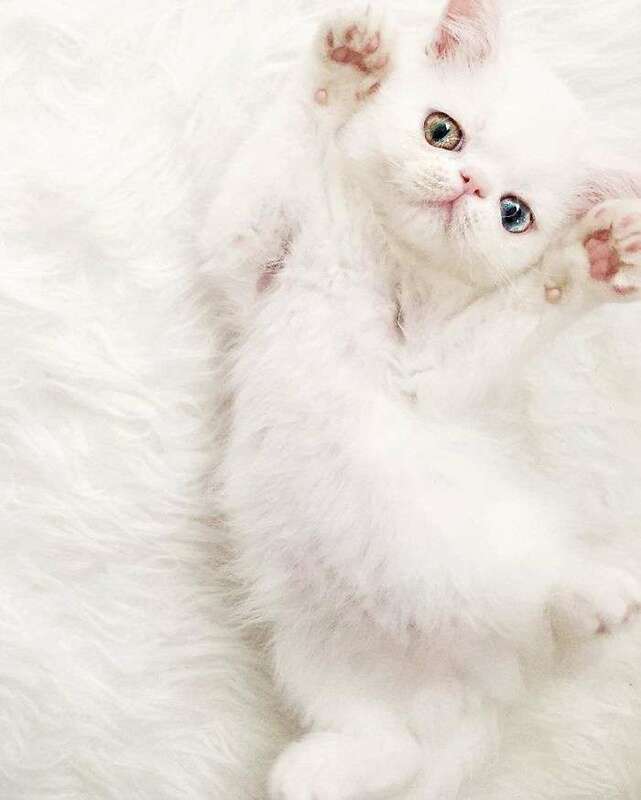 We are sure that you have already become a fan of this cute kitten. Don’t miss: Top 10 Female Celebrities With The Most Beautiful Eyes In The World. 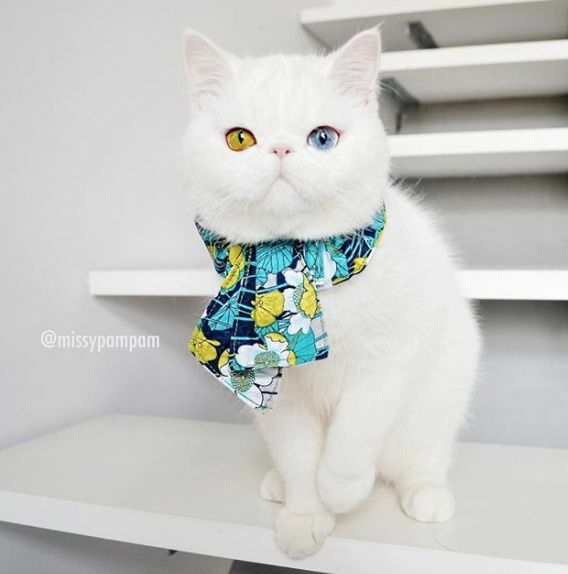 This cat(Pam Pam) has proved that sometimes being a little different can be an advantage to you. Make sure that you follow her on Instagram in the link given below.